Below is a list of our partners. We will be adding more soon. 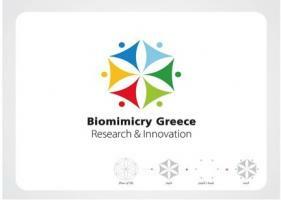 Biomimicry Greece Research and innovation Center brings a competitive advantage. It ensures the constancy of Higher Education, Research and Innovation. It provides actions to enhance the public understanding of nature + science art and technology and raises the awareness for new innovative solutions. Vera is an Independent Director and Executive Coach. Vera specializes in the development of personal and team leadership, strategic business development and the development of the corporate environment in the paradigm of Fair Prossess of Leadership (FPL). She has been working in executive management since 1995. Originally a professional pianist (graduated Petrozavodsk State Conservatoire), Vera studied on International Directors Programme at Insead Business-School, PG Dip in Coaching and Mentoring at Oxford-Brookes University, PG Dip in Business Psychology at Moscow State University, and PG Dip at National Academy of Tax and Law in Moscow. She is working with large Russian and European companies such as Sberbank, Russian State Government, Yves Rocher, DTEK, TatNeft. Vera odten work in cooperation with well-known business schools such as INSEAD (France), Vlerick Business-school (Belgium), ESMT (Germany) and RASHiGS (Moscow). Currently, Vera is member of the Board of Directors in several companies, specialised in the assessment of strategy, supporting decision-making processes and addressing conflict of interests at board level. The BID Community explores the design inspired by nature and proposes developing a common ground for discussions. The term B3D stands for biomimicry, biomimetics and biologically-inspired design. A key goal is holding workshops to build a consensus of variety of approached to biomimetics: learn more (verified information, validated methods, deeper insights) and do more (greater confidence to act, more opportunities to make a difference), increasing the vitality and credibility of this emerging field. Webinars explore key B3D challenges and opportunities:https://plus.google.com/u/0/b/112411992907248716919/112411992907248716919/posts The webinar format is a short presentation followed by a discussion of the topic. The webinars are recorded and made generally available. BrainSourcer: Search, suggest, evaluate, discuss and implement ideas with a creative web community.